Once in awhile, we get lucky and can sneak an extra week into our Color Challenges allowing you another 7 days to join in. We've had some fantastic participation with this patriotic palette and we'd LOVE to see even more of you play along! 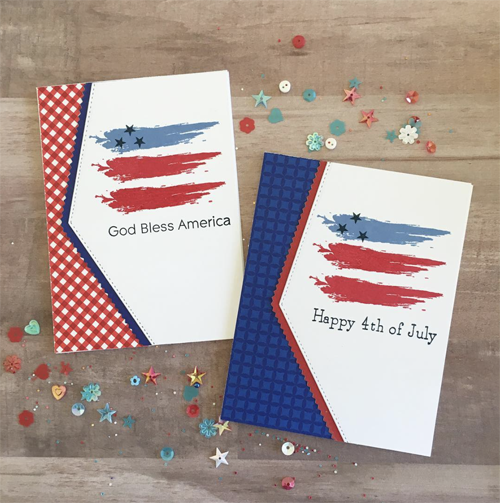 Simple Abstract Art stripes in shades of blue and red are perfectly evocative of the iconic stars and stripes. Dana's use of the Stitched Basic Edges and Stitched Scallop Basic Edges is perfect in allowing a hint of pattern to elevate the look. 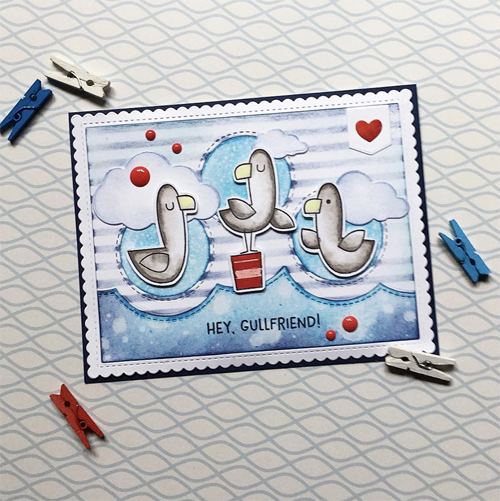 Summertime and the living is easy — especially when you're a seagull strutting your stuff on a beach full of unsuspecting sunbathers ;) Watery blues, nautical stripes, and pops of red provide some of the fabulous details evident on Tina's card.